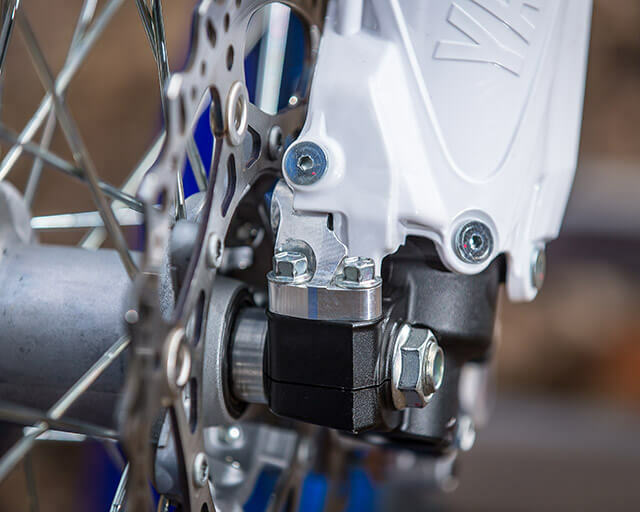 Based on the MXGP World Championship winning YZ450F, the WR450F employs Yamaha’s innovative reverse cylinder head and rearwards slanting cylinder. Having convincingly demonstrated its winning performance at the highest level, this industry-leading engine design offers high levels of controllable and linear torque, while this design’s greater mass centralisation contributes towards the bike’s agile handling character. 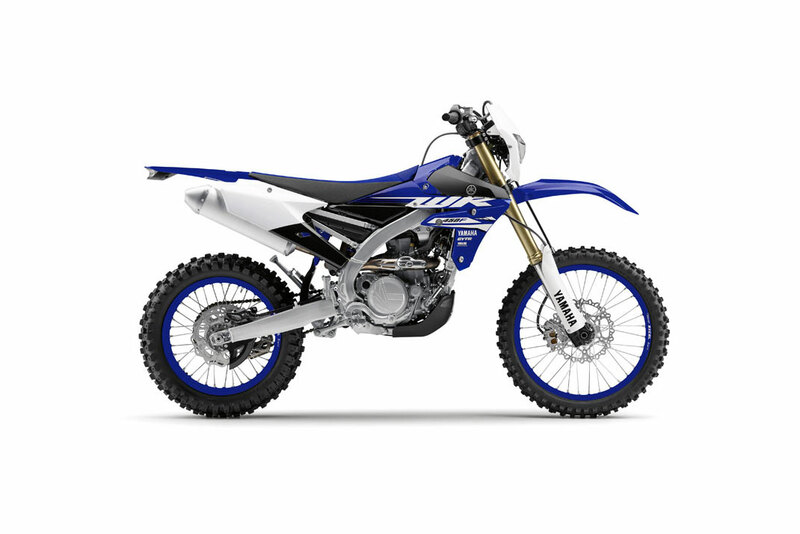 Together with the compact and light-handling YZ-F based chassis, the WR450F delivers major improvements in terms of weight, power characteristic, agility and rideability. 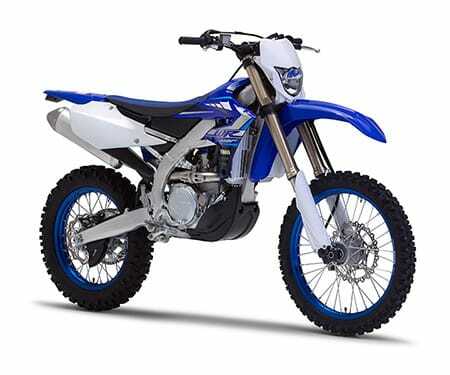 Starting the WR450F on a cold day - or restarting a hot engine - is made easy with the newly designed electric starter. A new auto-decompressor system cuts in when the electric start is activated for easy starting, and the air supply to the engine can be increased by 40% for reliable cold starting.